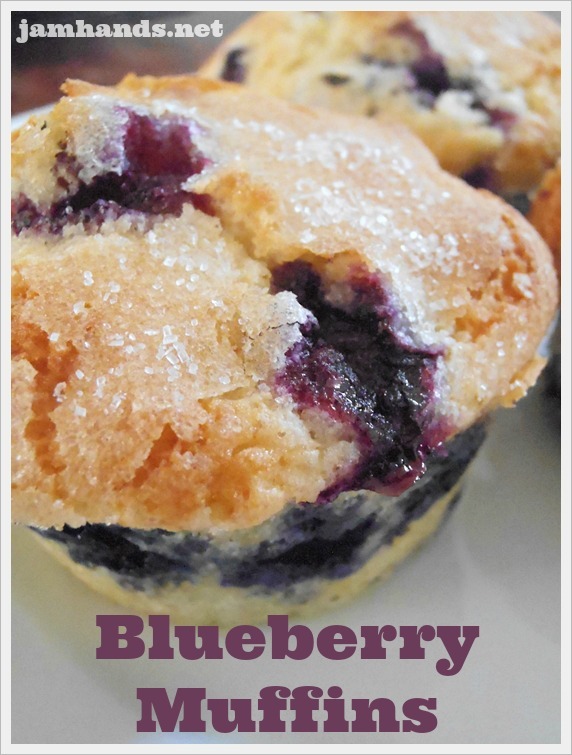 These muffins truly are bursting with blueberries. As such, I will note that they were a little bit tricky to get out of the muffin pan if you don't use any sort of muffin/cupcake liner, so I would suggest using those. This recipe came from Tasty Kitchen. In the description of the recipe, the person who submitted it said that they were a whole grain muffin, but in her recipe there was no whole grain flour mentioned. I used regular flour and it turned out delicious. I am not much of a blueberry fan in general but I thought these were delicious, especially with the sparkly sugar topping. Enjoy! 1. Preheat oven to 375 F. Grease a 12-count muffin tin. Set aside. 2. In a medium mixing bowl, cream together butter and 1 cup sugar. Add eggs and mix well. Stir in milk. 3. Combine dry ingredients (everything else except the berries) in another bowl then add this into the creamed mixture. Stir to combine. Gently fold in blueberries. 4. Fill greased muffin cups about 2/3 full. Sprinkle tops with the remaining sugar. Bake in the preheated 375 F oven for about 20 minutes (or until lightly browned). Recipe from Tasty Kitchen. Sharing this recipe at the following fun link parties. These look so deliciously moist and juicy! 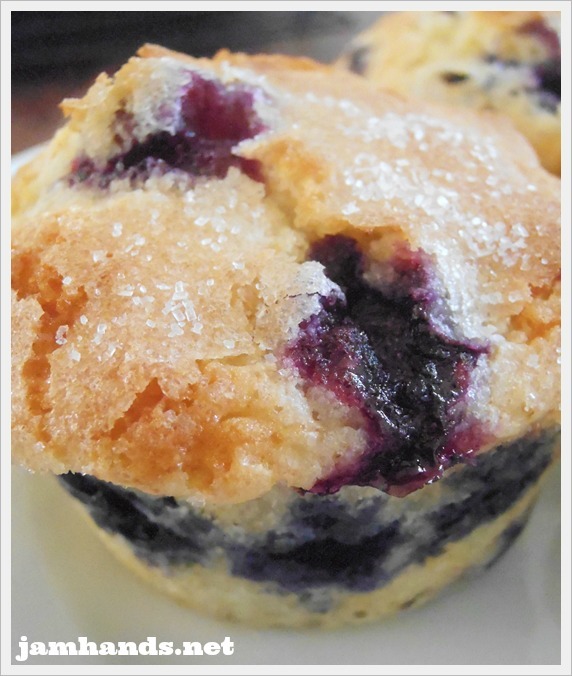 Hi Ali, I just found your blog by surfing around other people's blogs, and these blueberry muffins really got my attention. I feel like I can almost taste them! I've done some hopping around your blog, and found lots of great stuff, so I just became your newest member. Looking forward to seeing yourrecipes on a regular basis. Found you through Pinterest. These muffins are delicious. I added a bit of fresh grated lemon peel. Thanks for sharing the recipe. Love them! Very light and bursting with Blueberries. This will be my go to muffin recipe. Thank you! My muffins came out a bit dry… otherwise, DELICIOUS! Sorry to hear they were a bit dry. Mine were anything but, and it is pretty hard for me to know what differences we had. :/ For muffins, just as a tip to everyone here, remember to only mix until just combined so they don't get tough. These muffins were delicious and moist. I added lemon zest and a teaspoon vanilla. I also ended up with 17 muffins. Thanks for the recipe. Thanks so much for the feedback Vondra :) Glad you liked them.